While Judaism is the main focus of any synagogue, and many stop there, that is not the case with Calgary’s Beth Tzedec Congregation. They have decided to take their Jewish engagement into the wider world and have hired scholars from other faiths to teach them about those faiths. “There are a great number of religious traditions that are present in the community,” said the synagogue’s Rabbi Shaul Osadchey. “How do we learn about other people? How do we engage in conversation and interfaith relationships with people unless we know something about them? That’s the challenge. Osadchey knew that if he left it to others to start the process, he’d be able to count participants on one hand – out of the 600 families that are a part of the synagogue. Osadchey was able to find someone in his congregation willing to support the cause, leading to the creation of the Lil Faider Interfaith Scholar in Residence Program. “The idea was to allocate $10,000 a year for five years and pick five religions we wanted to examine, and invite a scholar or religious leader from the chosen tradition to be on our staff and teach within the synagogue for about 10 months (not over the summer). The synagogue hired Dr. Harjot Singh, a medical doctor and leader in the Sikh community. She presented lectures, followed by some experiential activities. One program was called Turban and Tefillin. “That was pretty amazing, because it was a way in which we explored what the meaning of religious apparel is in our respective traditions,” said Osadchey. “The fact that we both cover our heads and wear identifiable religious objects was a starting point. During this program, all the Jewish participants were shown how to put on a turban and each of us was wrapped in one. The congregation was invited into a gurdwara, the Sikh house of worship, and experienced a service. Then, they joined everyone in the langar, or common kitchen, where people can eat for free. Lastly, they finished the year off with a mock Sikh wedding and a mock Jewish wedding, for which they put up a chuppah, and presented the wedding rituals, acting them out and taking note of the similar and different rituals. 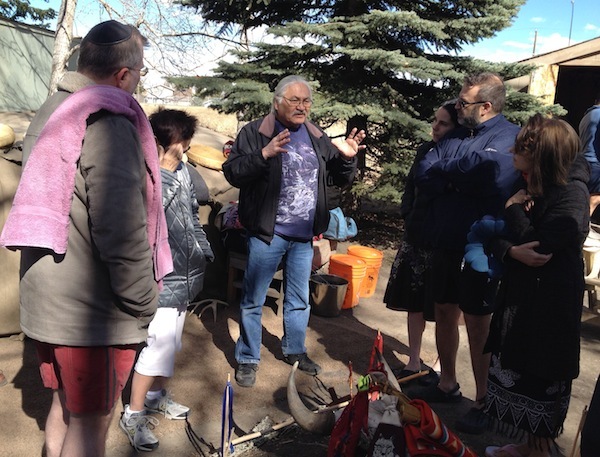 In 2014-2015, the synagogue focused on aspects of First Nations spirituality, inviting Casey Eagle Speaker and another teacher to give lessons on their culture. 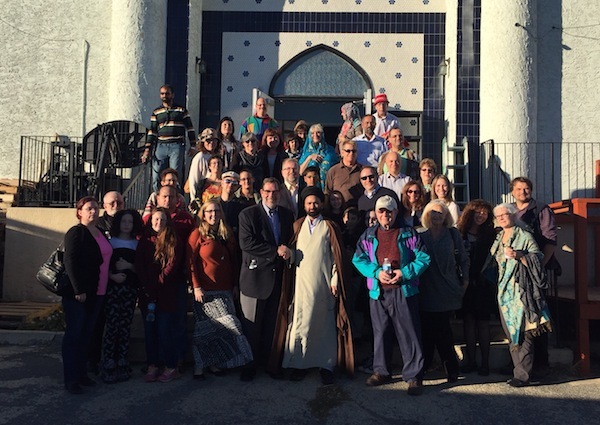 This year, with all the new connections the synagogue has made with the Muslim community, they decided to focus on Islam. For Islam, the congregation selected Imam Syed Hadi Hasan of the Shia branch of Islam, who has a long history of interfaith work. This March, the synagogue initiated the program Our House is Your House, which will be profiled in a future issue of the Independent. Although Christianity is not one of the religions studied in the first five years of the program, the synagogue hopes to continue with a sixth year focused on Christianity. The program so far has been beneficial. The scholars, too, gained much from the experience. “I was thrilled and amazed at that request and immediately accepted it,” said Hasan. “And I did my best to teach about Islam and answer all the questions from the participants of the five sessions I was part of. Speaker, who is a member of the Blood Tribe, which is part of the Blackfoot Confederacy in Alberta, echoed Hasan’s feelings, mentioning he found the experience very valuable. “I enjoyed the hospitality and the openness that the people had,” said Speaker. “The congregation was very open in mind, body and spirit, very open to listening, to understanding who we are as a people, as indigenous people, and about the concerns or issues prevalent in society. They showed me a hunger to learn and to create an understanding, rather than just knowing. “In our culture, we share openly to create an understanding and come together as human beings, rather than being separated by race, creed, color and religion. Those don’t work. We’ve seen the conflict that those create.